Irkutsk is a large city in Eastern Siberia and the administrative center of Irkutsk region. It is situated on the bank of Angara river. Irkutsk is traditionally considered as the cultural capital of Eastern Siberia. The city has more than 80 cultural and art institutions, including theaters, museums, libraries, art centers, concert and exhibition halls. Irkutsk is a historical city with a large number of historically preserved neighborhoods. It has about 685 historical and cultural monuments, 108 of them are on the federal list of historical preservation. 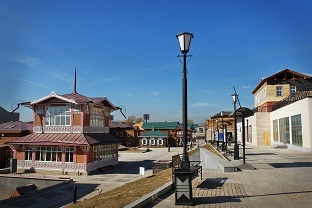 During the tour you will get acquainted with the architecture and touch the Irkutsk history. The museum of the Decembrists. 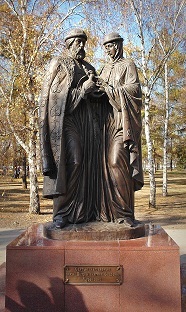 Monument to Decembrists wives. Walking on the embankment of Angara river. 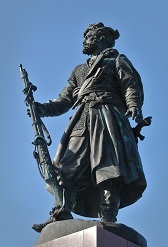 Monument to Alexander III. The historic quarter "Irkutsk Sloboda"
An additional hour of renting a car is 14$, a minibus is 19$, a bus is 39$ rubles per hour. Хотите забронировать three-hour car-walking tour «Irkutsk city tour»? Звоните: +7 (3952) 550-464.